Saint-Gobain Seals, a global manufacturer of sealing and polymer critical parts in core systems, has invested in expanding the R&D laboratory facilities at their Kontich, Belgium site in order to support customer testing needs and improve their time-to-market process. These competitive advantages are achieved through a pre-validation process in which mechanical and tribological testing helps select precise fit material for an application with a specific speed and load, specialized test rigs are used to perform testing in simulated end user hardware, and endurance testing of seals are conducted in house. A critical piece of supporting customer testing needs and solution development are the test rigs that are used in different market-related projects such as life sciences, space and oil and gas, which typically include challenges such as cryogenic, low fugitive emission and high pressure/high temperature conditions. They are designed and built to replicate customer application conditions to provide the best solution for each application. Additionally, SaintGobain Seals has established a cryogenic technical platform that focuses on building knowledge of applications in the oil and gas, space and industrial industries through seal performance testing, material qualification, and simulation and modeling. The platform guides the business on how better to design their OmniSeal® spring-energized sealing solutions for certain conditions such as temperatures down to -253°C, different friction, leakage and permeation requirements, thus offering customers superior benefits and precise fit based on pre-validation. The RACO® sealing solution has been one of the most impacted by this platform due to its widely adopted use in space applications that operate in extreme cryogenic environments, having been part of many major launch vehicle and rover missions in the past 60 years. The main strengths of having such a big portfolio of testing equipment and analytical tools is to be able to offer our customer a prevalidated solution reducing their development time and cost. The R&D team at Kontich is one of five Seals’ R&D worldwide teams (Kontich, Belgium; Garden Grove, California, USA; Bristol, Rhode Island, USA; Willich, Germany; and Wertheim, Germany) who support the global Seals’ business in addition to three corporate R&D centers that are part of the Saint-Gobain Group: Northboro, Mass., USA; Shanghai, China; and Chennai, India. Custom-designed application testing across different markets and under extreme conditions (e.g. cryogenic temperatures, high pressure) is one of our core competencies within Saint-Gobain Seals R&D, which allows us to test, analyze, reiterate and validate our designs and critical parts to provide the best performing solution to our customers. 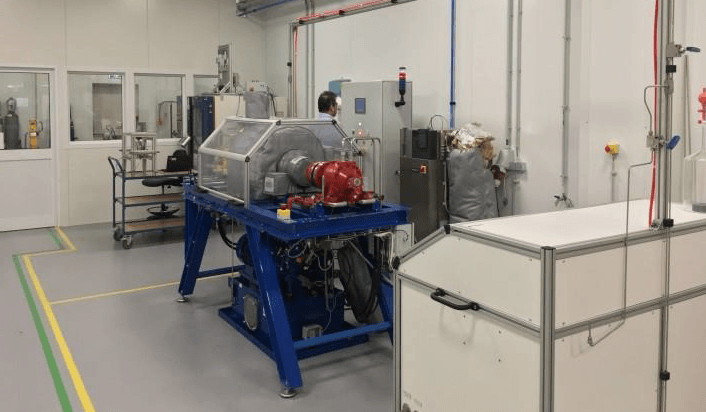 We continuously aim to improve the service, response time and experience for our customers by adding new test equipment based on new applications and product requirements, by expanding our prototyping capabilities and by implementing a learning center. By investing in and expanding our R&D infrastructure, we strive to be the technical leaders for critical sealing solutions and polymer parts. The R&D departments are critical in helping business management make decisions with greater confidence based on their research and technical knowledge in materials science and processing, application testing and simulating Saint-Gobain Seals’ products under various conditions. To learn more about Saint-Gobain Seals’ OmniSeal®, Rulon® and Meldin® product lines or its strategic business unit, visit www.seals.saint-gobain.com or their social media channel, @SGSeals.